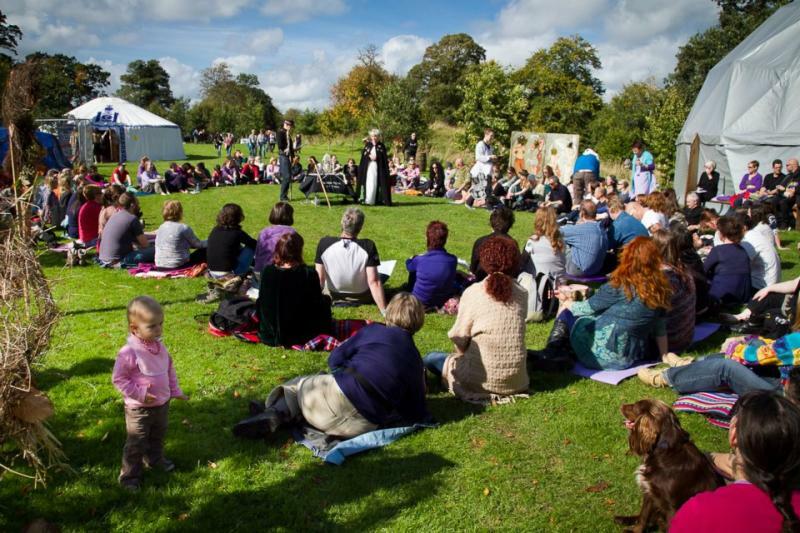 Autumn is here and festival season is winding down, but the Spirit of Folk festival, taking place on the 9th and 10th of September in Dunderry Park, Co. Meath, is one gem you don’t want to miss. We are giving away two tickets to this fantastic festival. Simply follow Positive Life on Facebook or Twitter, share this post on your Facebook or Twitter page and tag @positivelifemag so we know! A winner will be selected soon. Good luck! The Spirit of Folk festival, originally founded in 2011, has become renowned as a must-go venue for upcoming folk music acts. In addition, the festival provides spiritual seekers with a wide range of activities to enjoy, including drumming circles, shamanic workshops, and a variety of inspiring talks by some leading names in the world of druidry, shamanism, and transpersonal psychology. This year, the festival will take place in Dunderry Park, Co. Meath, on Saturday the 9th and Sunday the 10th of September. Dunderry Park is home to The Transpersonal Institute and the Irish Centre for Shamanic Studies, which offer a wide variety of courses on shamanism, yoga, counselling, transpersonal psychology, and more. All talks at the Spirit of Folk festival will be based on this theme. Ahead of this exciting weekend, we spoke to Martin Duffy, co-founder of the festival, to learn about the many events that festival attendees can expect. We hear that Dunderry Park is celebrating its twentieth anniversary, so that must make this year’s festival extra significant! Yes – that’s why we’re running it this year. We had put a hold on the festival last year, as we wanted the land to recover, but this year, we’re really fine-tuning the idea of Spirit of Folk being a holistic festival. This is why we’ve made it a non-alcohol event. The ethos of the Centre is more about people getting into themselves than getting outside of themselves, which is an effect that alcohol tends to have. What I am most looking forward to is the gathering of people who have been coming and going to the Centre for the last twenty years. We’ll have a huge drumming circle and a speakers’ tent, with speakers such as Professor Ivor Browne, Jungian therapist Jasbinder Garnermann, and myself and Annette Peard will be doing a druid ceremony and talking about transpersonal vision. 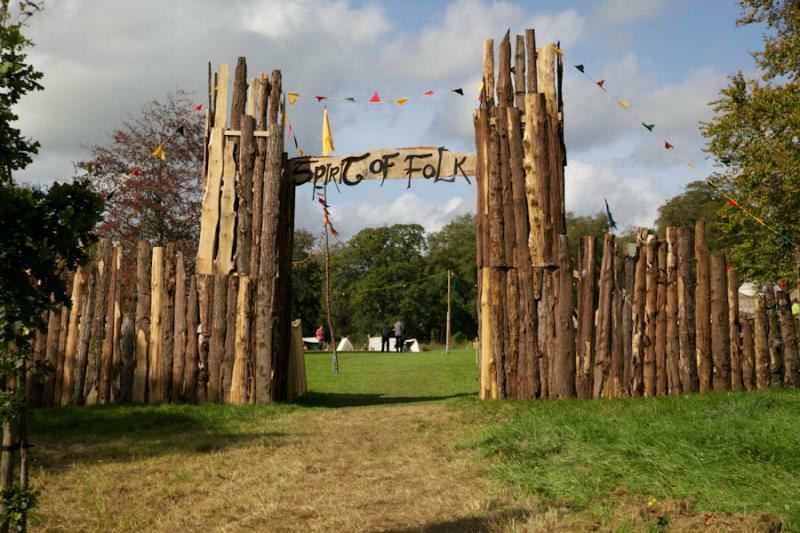 There will be folk music, of course, and a play taking place on our woodland stage. We like to promote upcoming bands that don’t have an opportunity to perform in many other places. It’s centred around folk, blues, and traditional types of music. There will also be storytelling with Eddie Hanahan and others in a little cairn that we have in one of our fields, which fits about forty people. We will also have childrens’ activities taking place throughout the weekend. Can you tell us more about what yourself and Annette will be doing? Annette and I will be doing the opening ceremony – a druid ceremony – which will be celebrating the autumn equinox. Annette works as a druidess, so she will be doing a ceremony that involves honouring the earth and the ancestors, and everybody will get to participate in this ceremony. She’ll also be talking about druidry in modern times, and how relevant it is in our world today. How do you hope the festival continues to grow and develop in the years ahead? We are going to look at this year as a template for going forward, where we can have a festival that is somewhat different to many other summer festivals, in the sense that it would be a holistic, child-friendly, and animal-friendly event, that isn’t centred around alcohol. The Spirit of Folk Festival is taking place on the 9th and 10th of September 2017 in Dunderry Park, Navan, Co. Meath. For more information about the festival programme and booking details, see spiritoffolk.ie. To learn more about Dunderry Park, the Transpersonal Institute, and the Irish Centre for Shamanic Studies, go to www.dunderrypark.org.